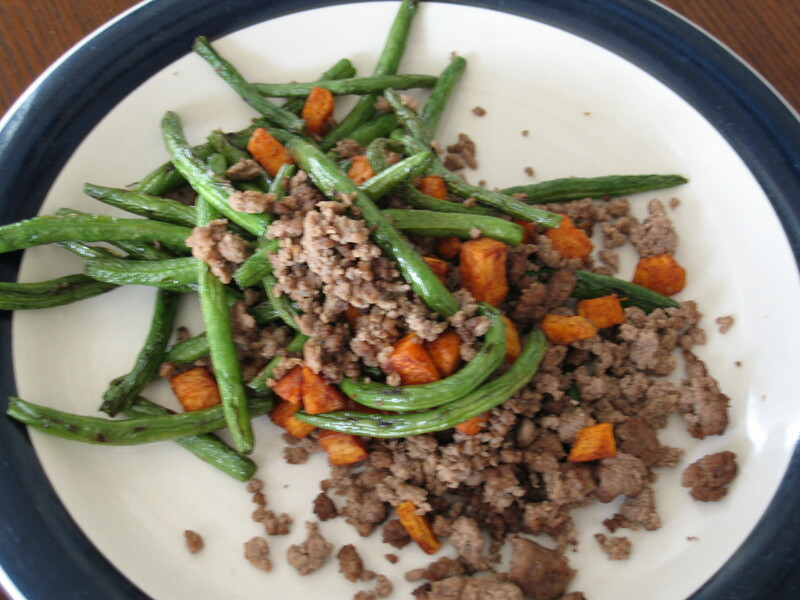 Post-Workout Bliss: 1/4 lb grass fed beef, sauteed green beans and sweet potato hash. … and I want to share it with you! Join me on my nutrition caravan for tips on how to properly ensure you have fuel in the tank, how to refuel for long trips and how to ensure your tank is properly fueled so you can continue on your journey of energy, strength and confidence. Cue the road trippin’ music. 1. Hydrate. Drinking water is always key to great performance and recovery. Your daily goal should be to drink at least half of your body weight in ounces of water daily plus more when you are sweating. For example, a 150 lb individual should drink a minimum of 75 oz of water spread throughout the day. 2. Pre-Workout: Start with Fuel in Your Tank. Whether you exercise at 5am or 5pm, you need to make sure you eat a little bit of protein and carbs 30-60 minutes before your workout. This can be as simple as a banana with almond butter or a protein shake. The most important thing is that you choose foods that digest easily, settle in your stomach and give you enough energy so you don’t bonk during your 45-60 minute workout. If you’ve ever felt weak, faint, nauseous, etc. during a workout and you don’t have the flu/illness, you better get your pre-party on and investigate what you are or aren’t eating. 3. Intra-Workout: Refuel for Duration. This truly applies to those endurance athletes who are exercising for 60+ minutes. Your body can only maintain certain intensities for so long before you are completely depleted. Again, opt for foods that settle well in your stomach, but give you quick energy. Fresh fruit and GU packets work well along with energy bars and peanut butter sandwiches for longer events. Refuel every 45-50 minutes. 4. Post-Workout: Refuel for Life. Immediately to 30 minutes following your workout, refuel with a healthy mix of protein, vegetables and starches. Choose a clean protein source of poultry, fish, eggs, beef/bison or protein powder (no antibiotic or hormone treated animals please), 1-2 cups of vegetables and a nutrient packed starch like yams, quinoa, rice, etc. The protein will help repair all tissues, the vegetables will add vitamins, minerals and fiber and the starch will help transport the protein while replenishing energy stores. 5. Use the Correct Fuel. You wouldn’t refuel your car with the wrong type of fuel would you? Your body is no different. Choose real food over processed foods like pastries and instant meals. Your body’s performance, energy and aesthetics are directly related to the quality of food you are feeding it. Be good to your bod. This is a simplified guideline for exercise nutrition. If you are experiencing issues with recovery, injuries, dehydration, performance, etc. or want to learn more, please contact me for a specific nutrition plan tailored for your unique needs.